Edgar Allan Poe's C. Auguste Dupin is generally acknowledged as the first detective in fiction and served as the prototype for many that were created later, including Holmes. 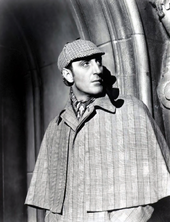 Conan Doyle once wrote, "Each [of Poe's detective stories] is a root from which a whole literature has developed... Where was the detective story until Poe breathed the breath of life into it?" 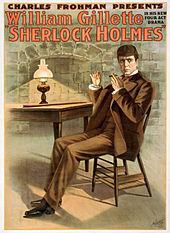 Similarly, the stories of Émile Gaboriau's Monsieur Lecoq were extremely popular at the time Conan Doyle began writing Holmes, and Holmes' speech and behaviour sometimes follow that of Lecoq. Both Dupin and Lecoq are referenced at the beginning of A Study in Scarlet. Other inspirations have been considered. One has been argued to be Maximilien Heller, by French author Henry Cauvain. It is not known if Conan Doyle read Maximilien Heller, but he was fluent in French, and in this 1871 novel (sixteen years before the first adventure of Sherlock Holmes), Henry Cauvain imagined a depressed, anti-social, opium-smoking polymath detective, operating in Paris. 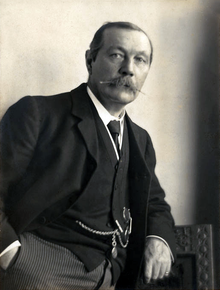 Michael Harrison has suggested that a German self-styled "consulting detective" named Walter Scherer may have been the model for Holmes. 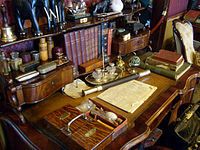 Holmes clients vary from the most powerful monarchs and governments of Europe, to wealthy aristocrats and industrialists, to impoverished pawnbrokers and governesses. He is known only in select profession circles at the beginning of the first story, but is already collaborating with Scotland Yard. 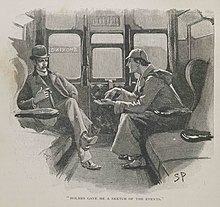 However, his continued work and the publication of Watson's stories raises Holmes' profile, and he rapidly becomes well known as a detective; so many clients ask for his help instead of (or in addition to) that of the police that, Watson writes, by 1895 Holmes has "an immense practice". Police outside London ask Holmes for assistance if he is nearby, even during a vacation. 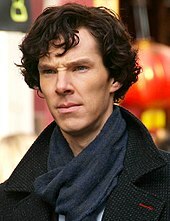 A Prime Minister and the King of Bohemia visit 221B Baker Street in person to request Holmes's assistance; the government of France awards him its Legion of Honour for solving a case; the King of Scandinavia is a client; and he aids the Vatican at least twice. The detective acts on behalf of the British government in matters of national security several times, and declines a knighthood "for services which may perhaps some day be described". 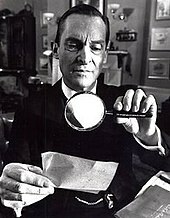 Subsequent stories reveal that Watson's early assessment was incomplete in places and inaccurate in others, due to the passage of time if nothing else. At the end of A Study in Scarlet, Holmes demonstrates a knowledge of Latin. Despite Holmes's supposed ignorance of politics, in "A Scandal in Bohemia" he immediately recognises the true identity of "Count von Kramm". His speech is peppered with references to the Bible, Shakespeare, and Johann Wolfgang von Goethe, and the detective quotes a letter from Gustave Flaubert to George Sand in the original French. At the end of "A Case of Identity", Holmes quotes Hafez. In The Hound of the Baskervilles, the detective recognises works by Martin Knoller and Joshua Reynolds: "Watson won't allow that I know anything of art, but that is mere jealousy since our views upon the subject differ". 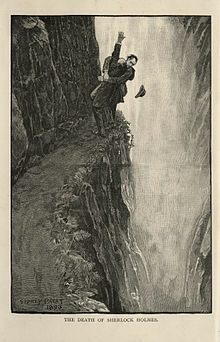 In "The Adventure of the Bruce-Partington Plans", Watson says that "Holmes lost himself in a monograph which he had undertaken upon the Polyphonic Motets of Lassus", considered "the last word" on the subject. 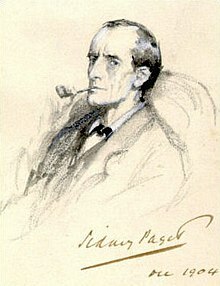 Holmes is also a cryptanalyst, telling Watson in "The Adventure of the Dancing Men": "I am fairly familiar with all forms of secret writing, and am myself the author of a trifling monograph upon the subject, in which I analyse one hundred and sixty separate ciphers".